Right Field Bleachers: The Final Piece? Ken Rosenthal reportedly announced today on Fox Sports Radio that Cuban defector Alexei Ramirez is close to establishing citizenship in the Dominican Republic. He would then try to land a spot on an MLB roster. 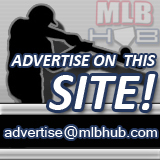 According to a Brewerfan.net poster, Rosenthal said Ramirez's agent named the Brewers among five teams expressing interest in the Cuban home run king, who can play as a middle infielder or outfielder. The White Sox, Mets, Padres and Cardinals are also said to have interest. Ramirez, 26, is represented by agent Jaime Torres, the same agent who represents Brewer minor-league prospect and fellow Cuban defector Yohannis Perez, a shortstop who spent last season with the Huntsville Stars and Brevard County Manatees. Ramirez, who played at second base last year, batted .335, hit a Cuban National Series league-leading 20 homers, led the league in total bases with 195 and finished in the top ten in runs (ninth), hits (fifth), RBI (second), game-winning hits (eighth) and slugging percentage (second at .574). In 14 at bats in the Dominican Winter League this November, Ramirez had only one hit, batting .071 with one run, one RBI, zero walks and four strike outs. He went 6-for-16 (.375) in the 2006 World Baseball Classic, which Cuba placed second in to Japan and was on the 2004 gold medal Cuban Olympic team. Ramirez runs like a long-legged deer, has a solid outfield arm, displays good if not exceptional range at second and shortstop, and boasts surprising power in his frail-appearing 6-3, 172-pound frame. Built along the physical lines of a young Ernie Banks or Hank Aaron, Ramirez has great wrists and an exceptionally quick bat, as well as excellent plate discipline; nonetheless he is a line drive hitter and not primarily a home run slugger and his 20 round trippers this past winter were perhaps something of an aberration. MLB.com lists him at 6'1" and 170 pounds. He bats and throws right handed. While Ramirez reportedly has been shopped as a shortstop, his agent is now apparently advertising him as a second baseman or outfielder. If the Brewers did pursue Ramirez and landed the foreign prospect, they could slide him into the starting left fielder role, though that would be pretty risky considering they likely know little about Ramirez, who has never played MLB talent aside from in the WBC. He is definitely an intriguing prospect and one I hope the Brewers continue to look into. It will be interesting to see where he ends up and if he pans out.